LARISSA: Larsen Ice Shelf System, Antarctica is a National Science Foundation funded initiative that brings an international, interdisciplinary team together to address a significant regional problem with global change implications, the abrupt environmental change in Antarctica's Larsen Ice Shelf System. The LARISSA Project represents an Earth Systems approach to describe and understand the basic physical and geological processes active in the Larsen embayment that a) contributed to the present phase of massive, rapid environmental change; b) are participating in that change as part of the coupled climate-ocean-ice system; and c) are fundamentally altered by these changes. This requires a comprehensive, interdisciplinary approach that includes geological, glaciological, oceanographic, and biological data, all needed to fully characterize the major linkages and interactions between different parts of the system. 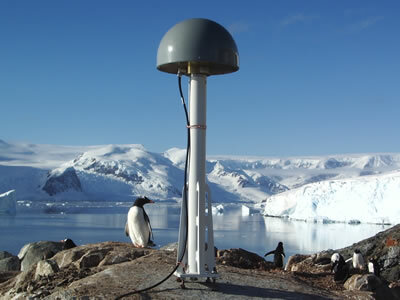 As part of this effort, three bedrock CGPS stations were installed along the western side of the Peninsula in April 2009 to measure post-glacial rebound to help reconstruct the detailed configuration of the northern Antarctic Peninsula Ice Sheet (APIS) during the Last Glacial Maximum (LGM) and subsequent retreat. 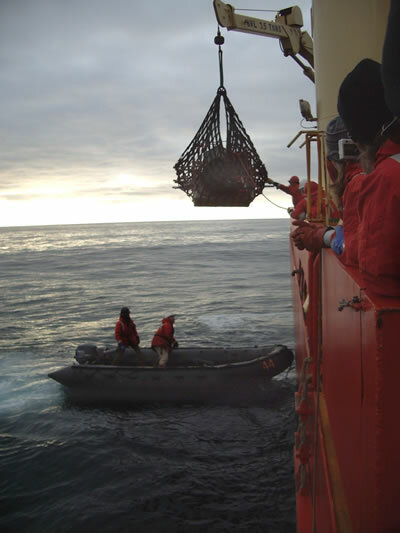 Six more CGPS sites will be installed in early 2010 � three on bedrock on the east (Weddell Sea) side of the Peninsula, and three on outlet glaciers from the Bruce Plateau. 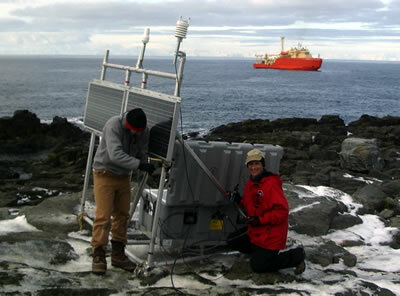 The bedrock CGPS stations are also a part of the POLENET IPY project. Figure 1 - CGPS station DUPT on Duthiers Point on the entrance to Paradise Harbor. 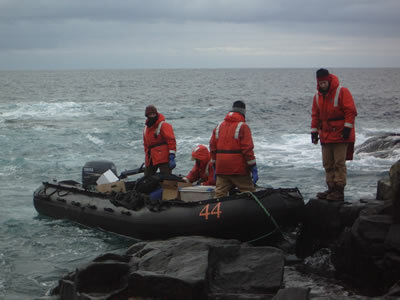 Figure 2 - Offloading the system from the R/V L.M. Gould for the Hugo Island installation. Figure 3 - Offloading the system from the R/V L.M. Gould for the Hugo Island installation. Figure 4 - Student Mason Fried and PI Eugene Domack finishing the Hugo Island installation. 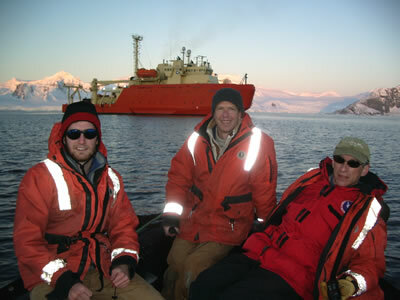 Figure 5 - Mason Fred, Bjorn Johns, and Eugene Domack returning from the installation at the Ukranian Vernadsky Station.